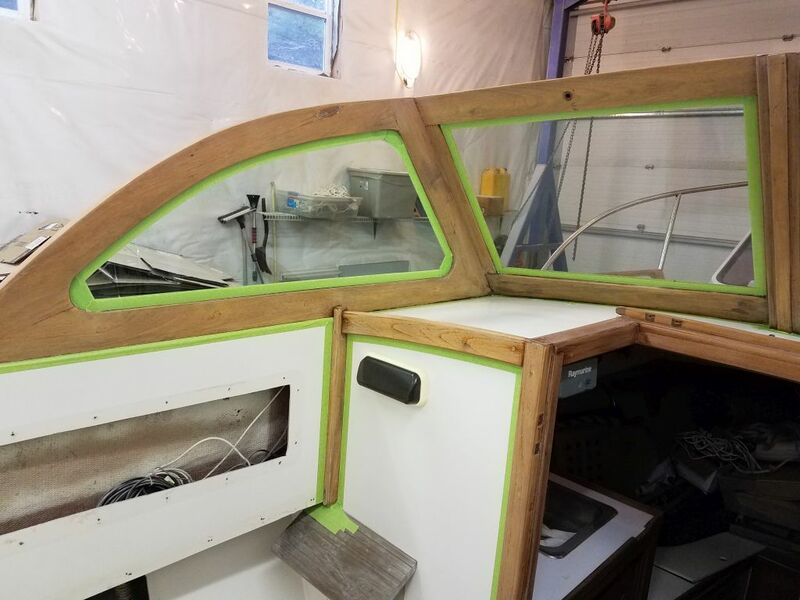 After spending most of the morning on other business, I got back to work and finished up the masking for the varnish work, this time the inside of the windshield and surrounding areas. 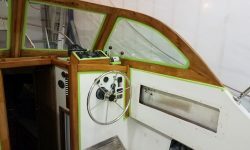 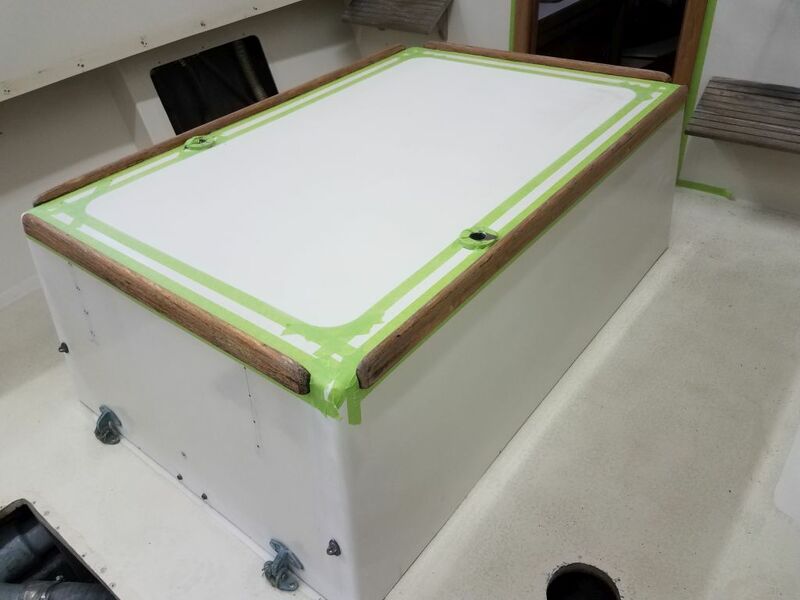 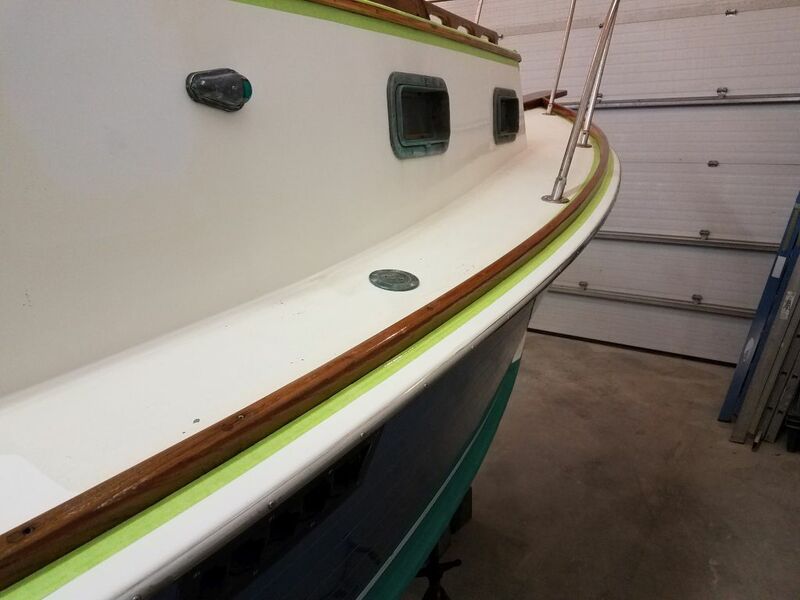 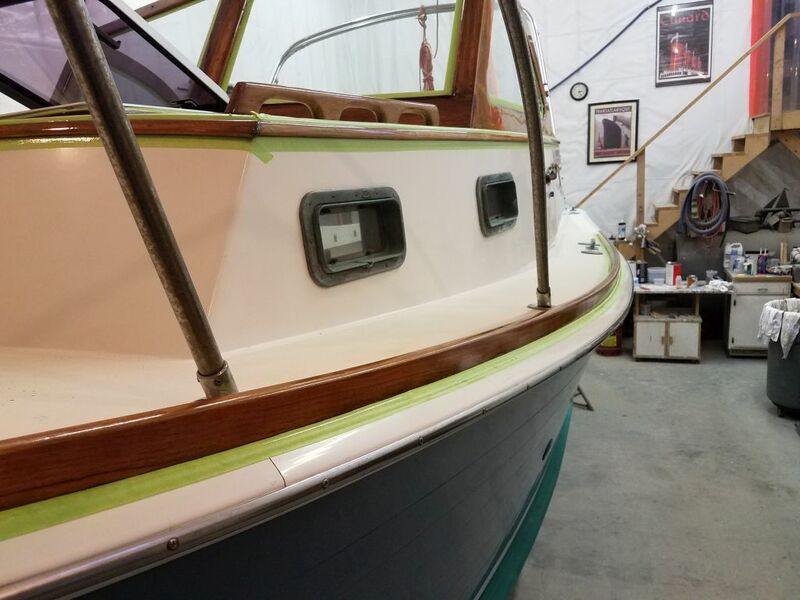 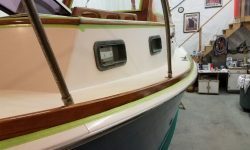 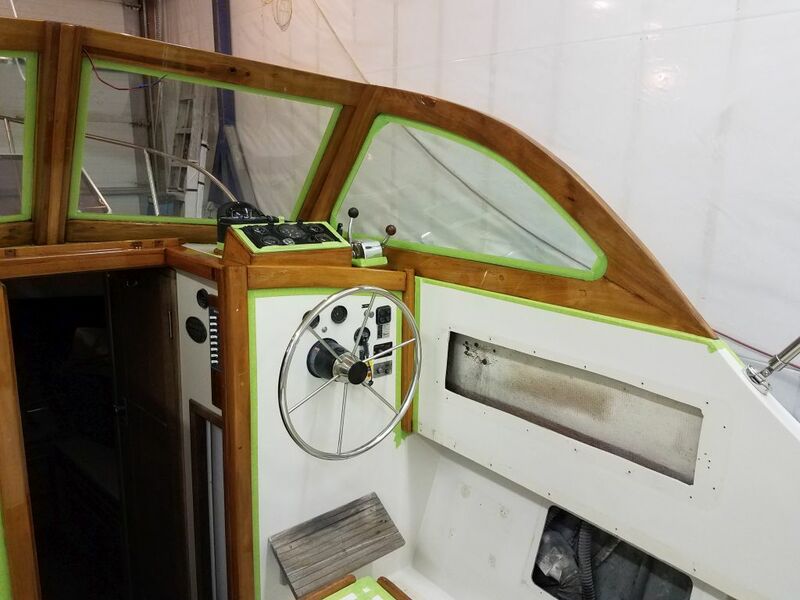 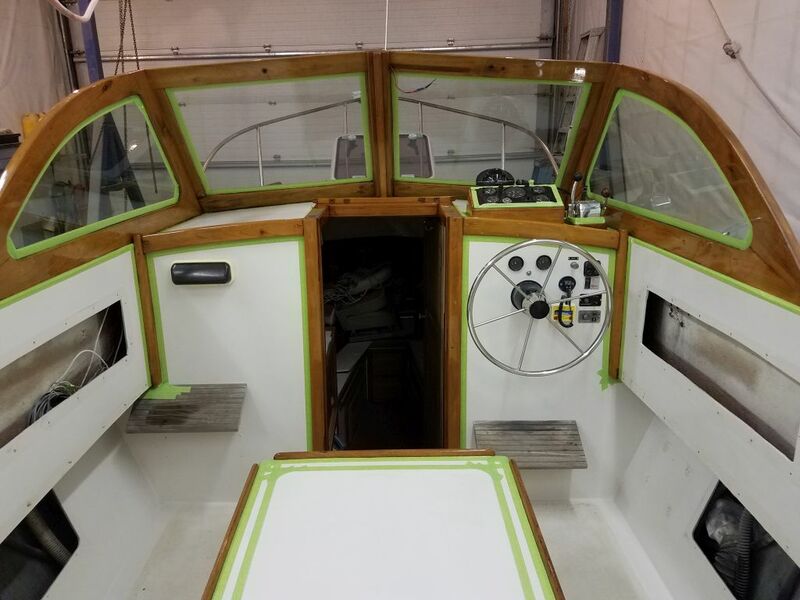 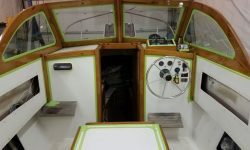 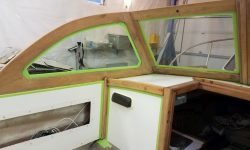 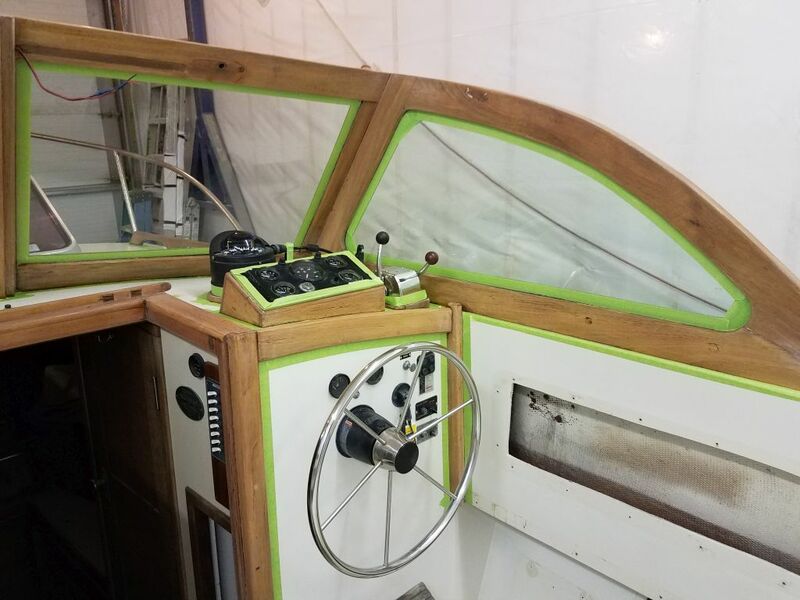 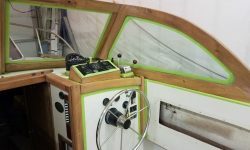 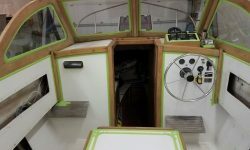 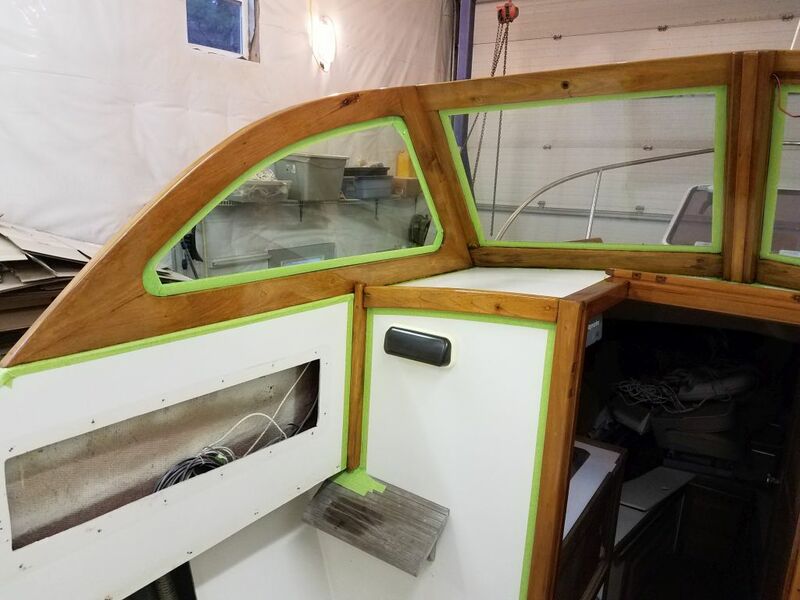 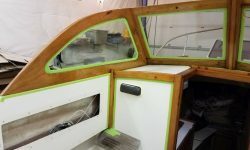 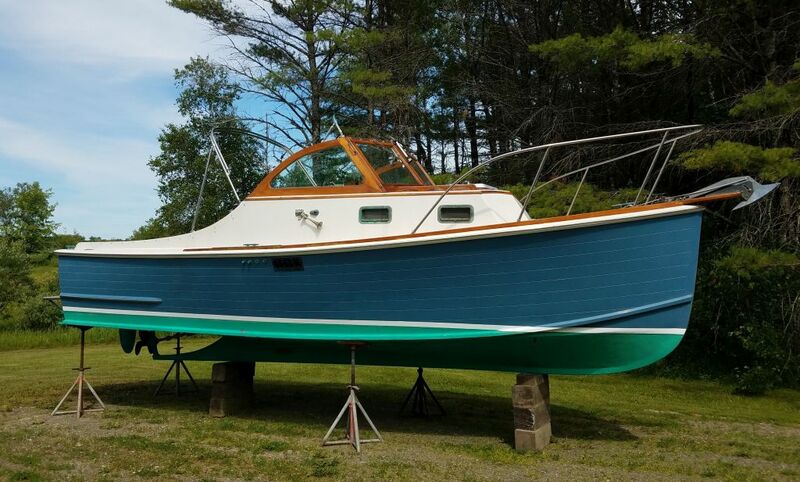 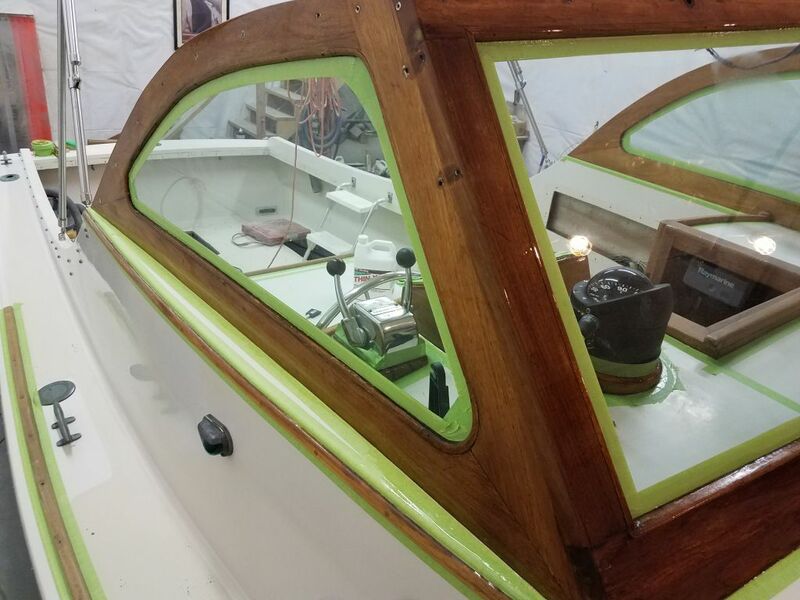 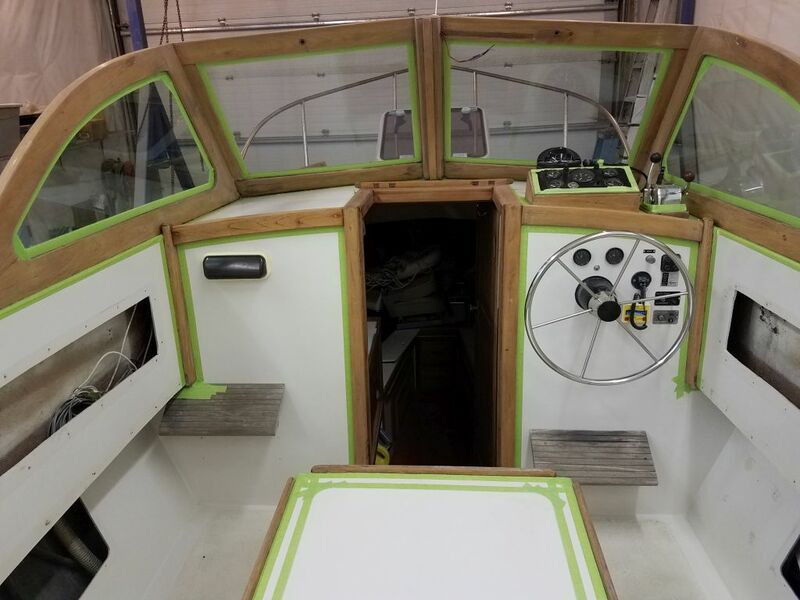 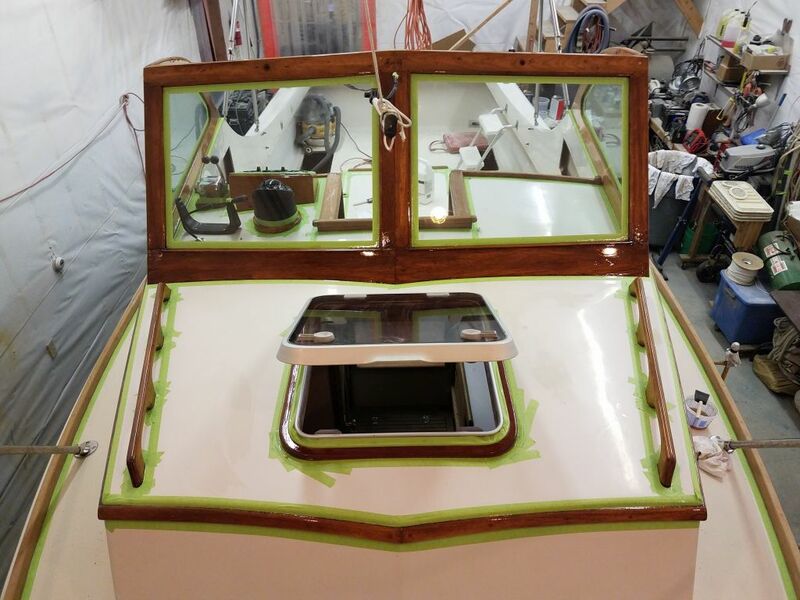 With the masking complete, I turned to the first of at least a couple coats of maintenance varnish on most of these areas, including the handrails, eyebrows, companionway trim, engine box fiddles, and windshield, and the second coat on the forward hatch surround. 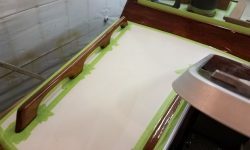 Afterwards, I applied the first coat of highly-thinned varnish to the bare toerails and anchor platform. 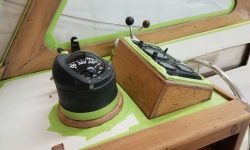 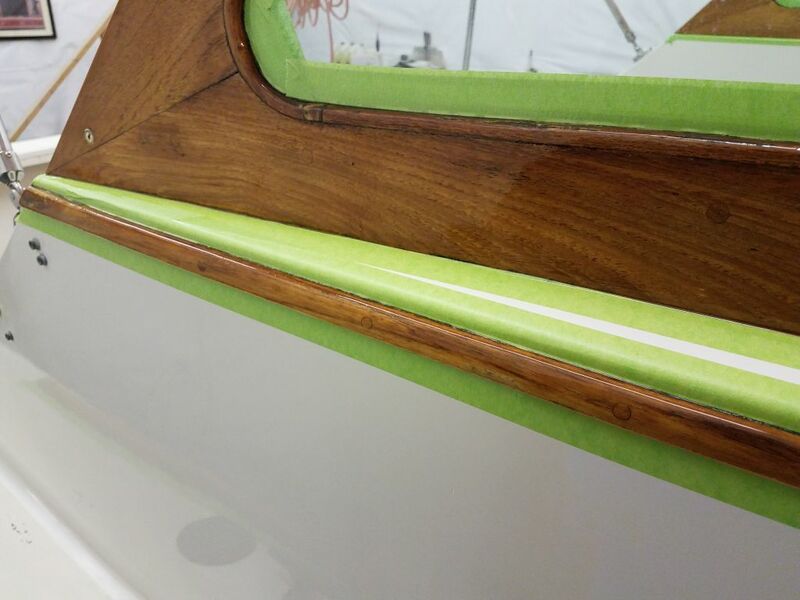 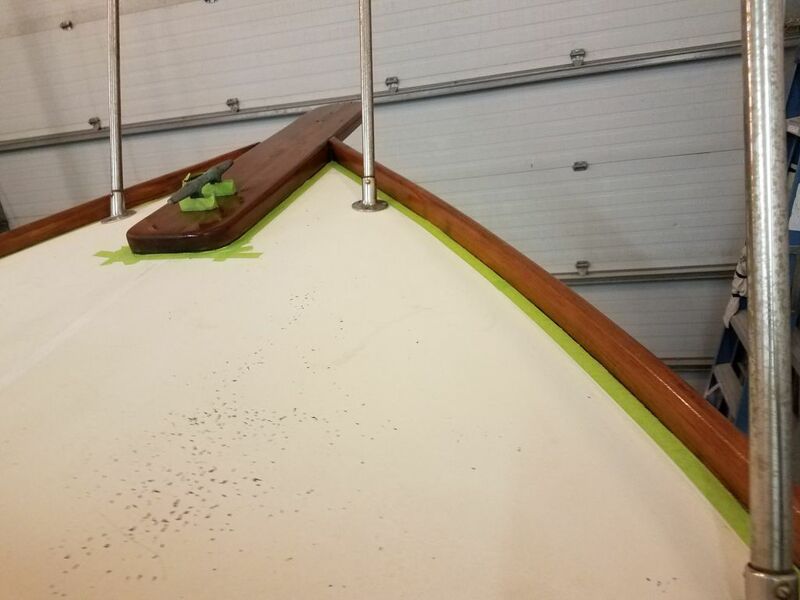 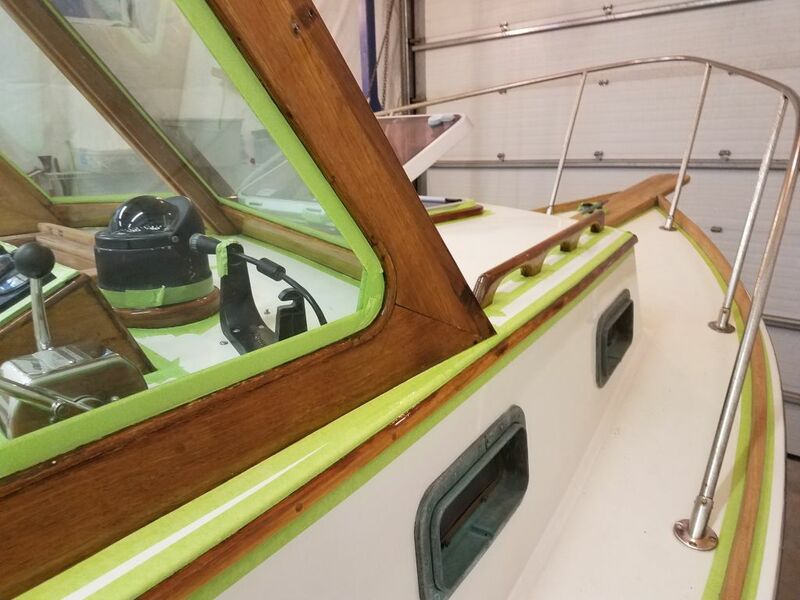 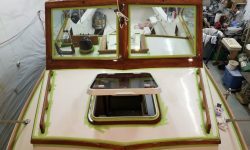 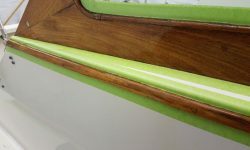 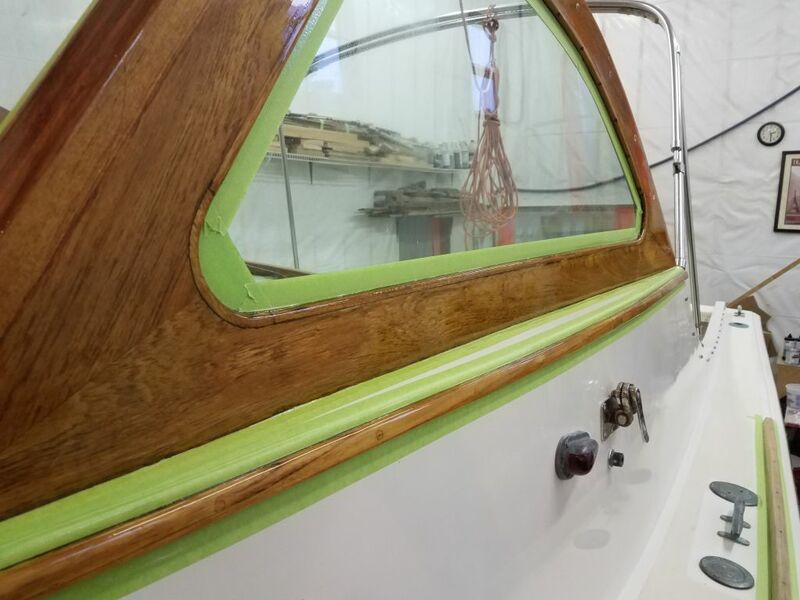 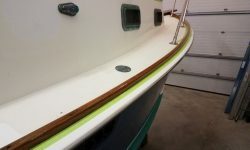 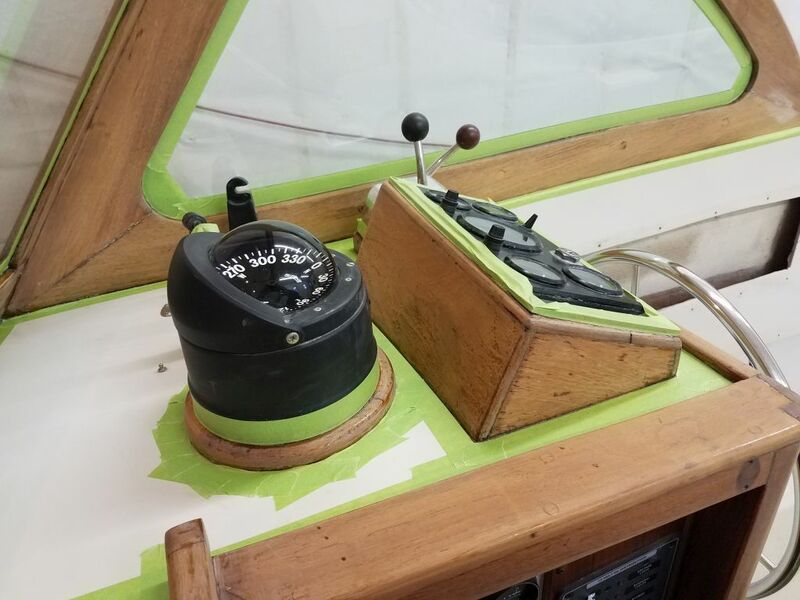 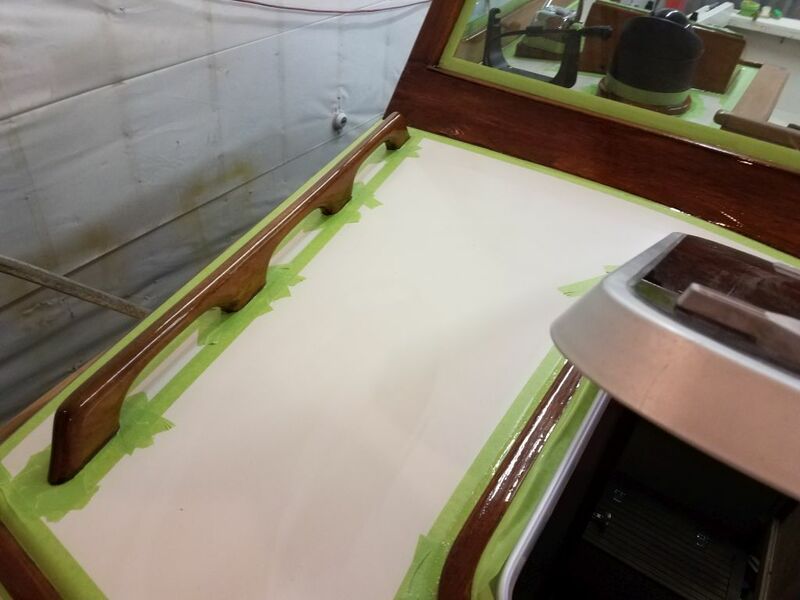 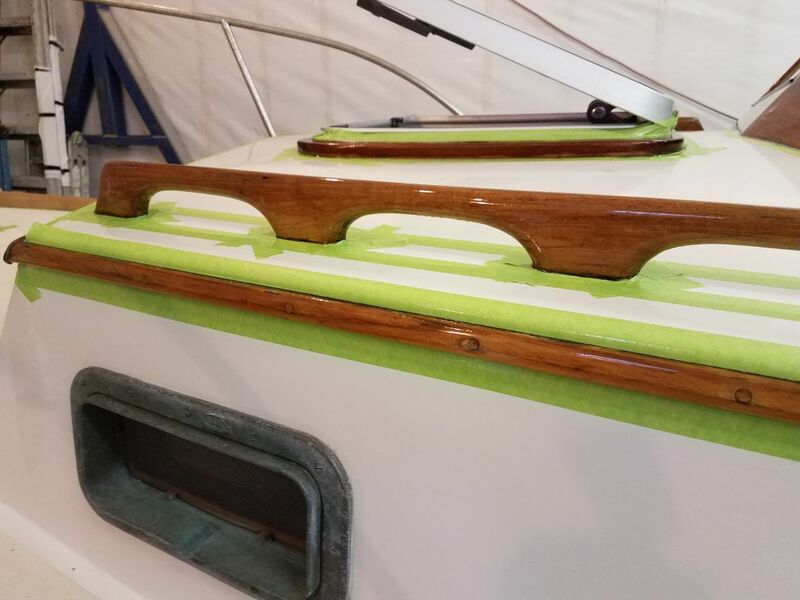 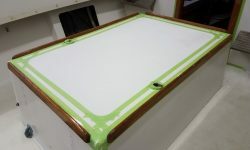 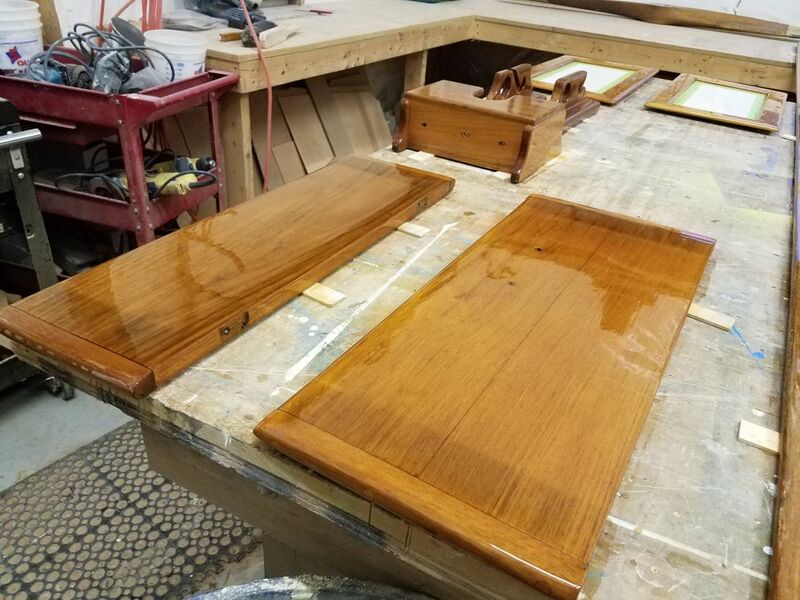 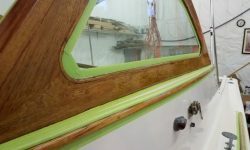 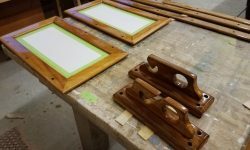 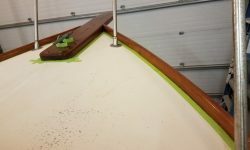 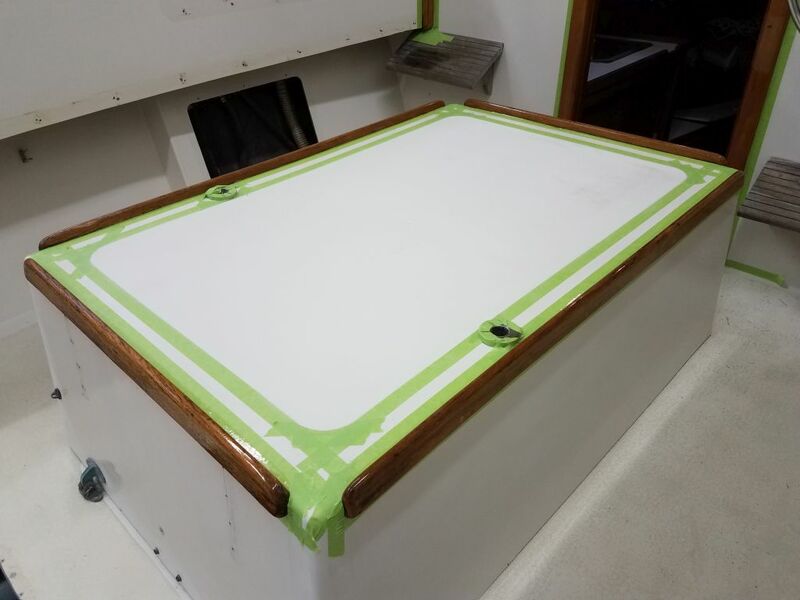 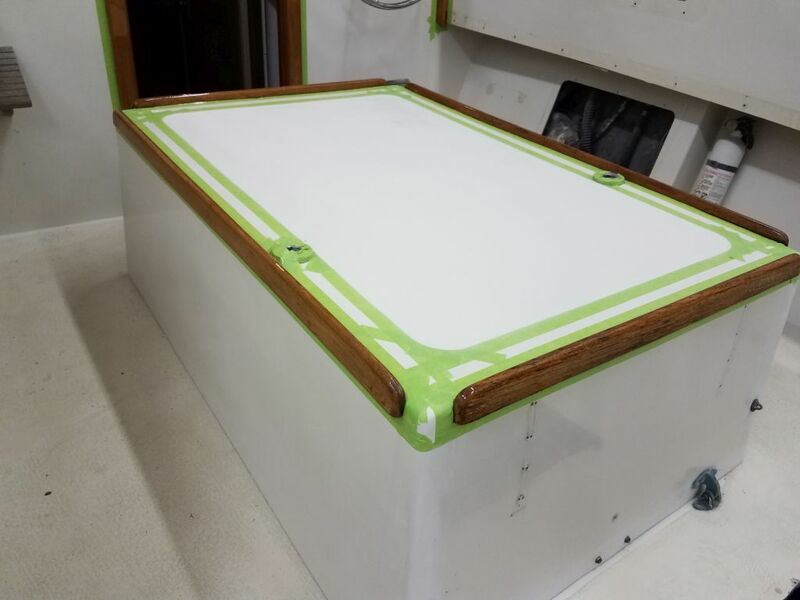 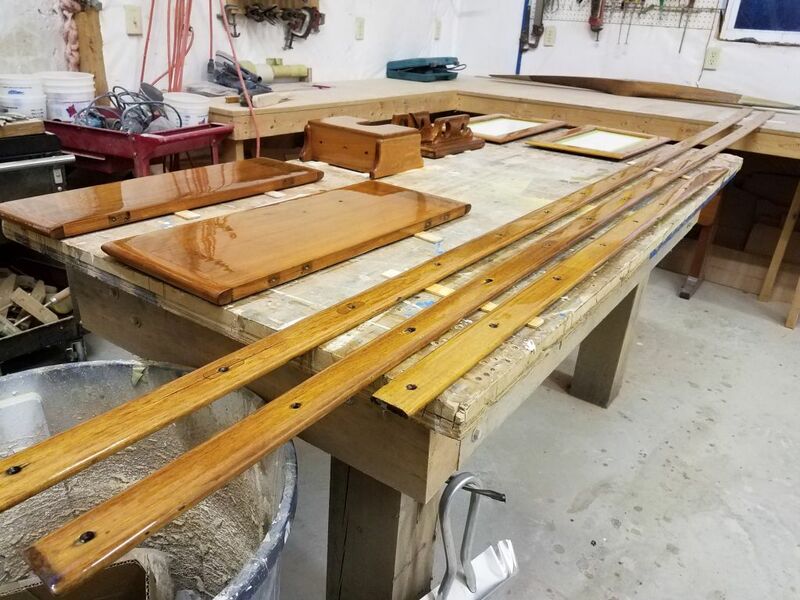 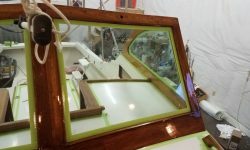 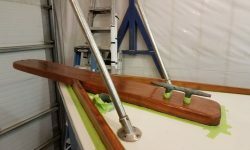 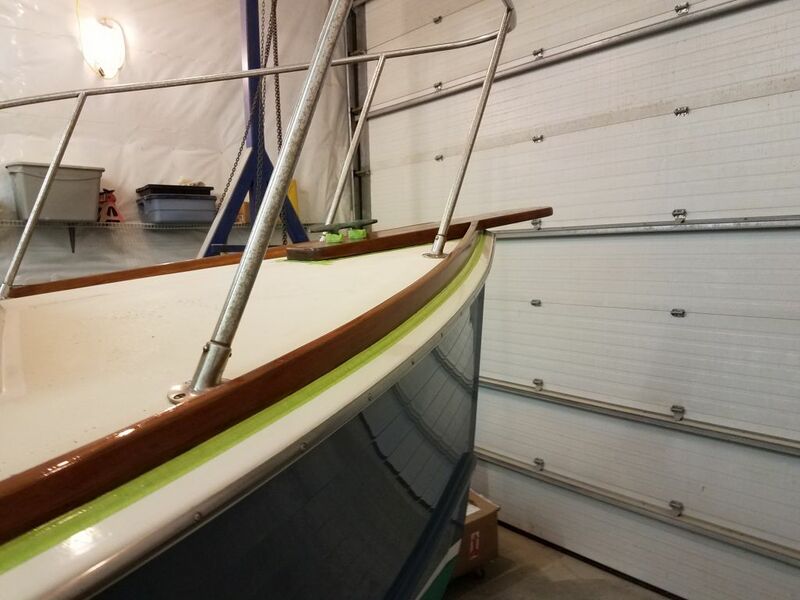 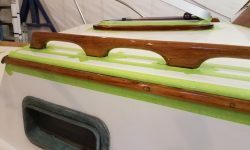 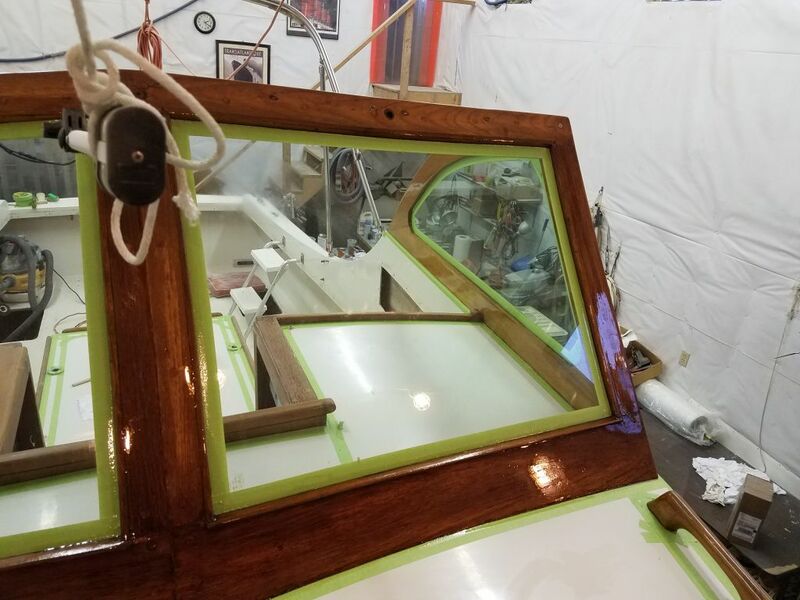 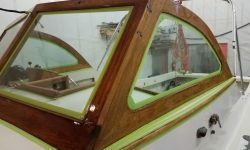 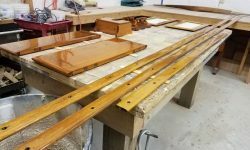 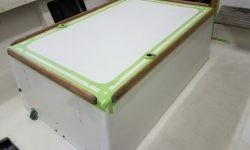 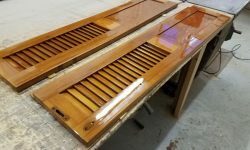 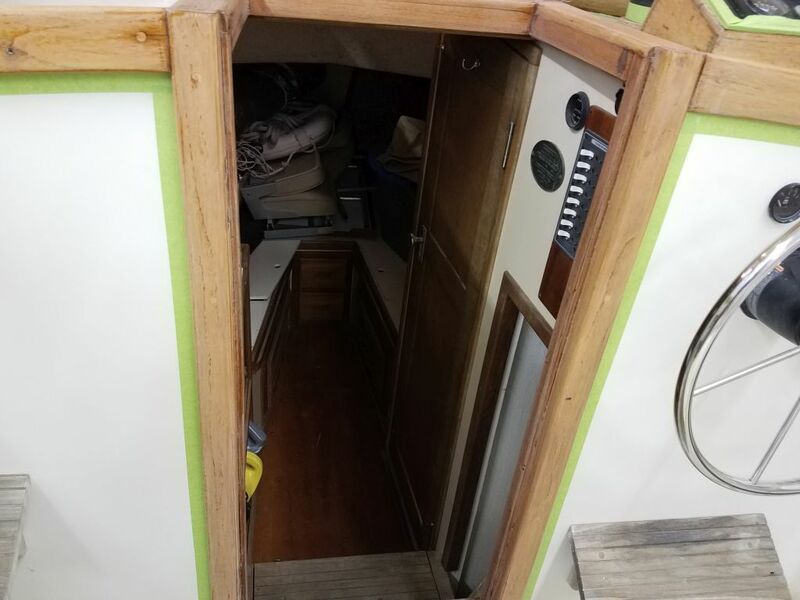 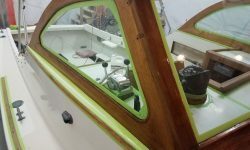 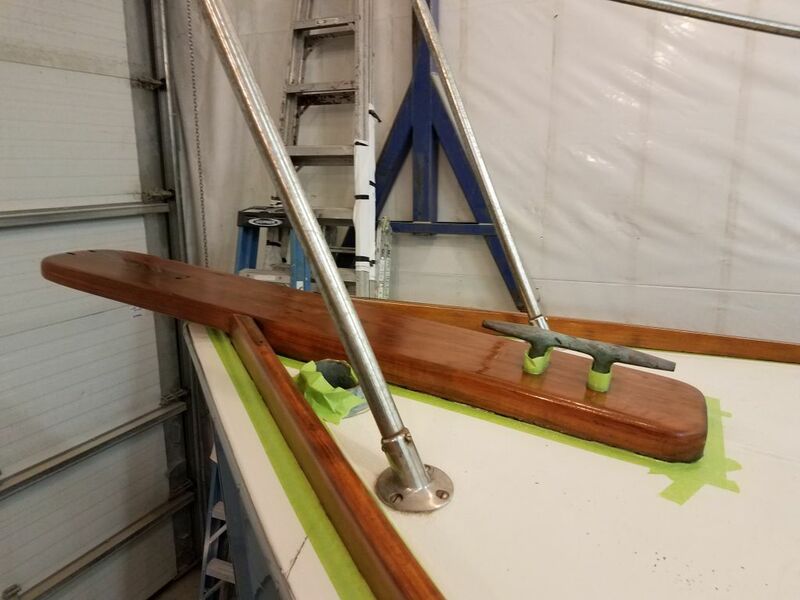 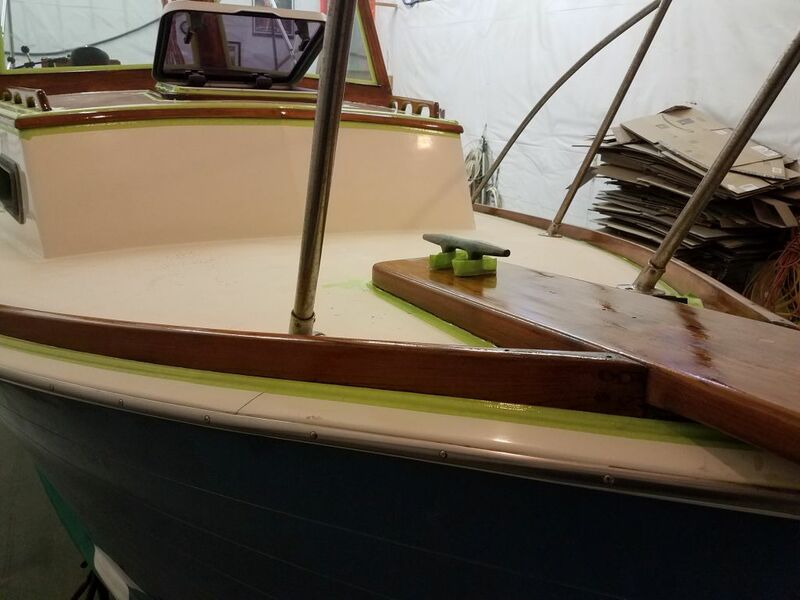 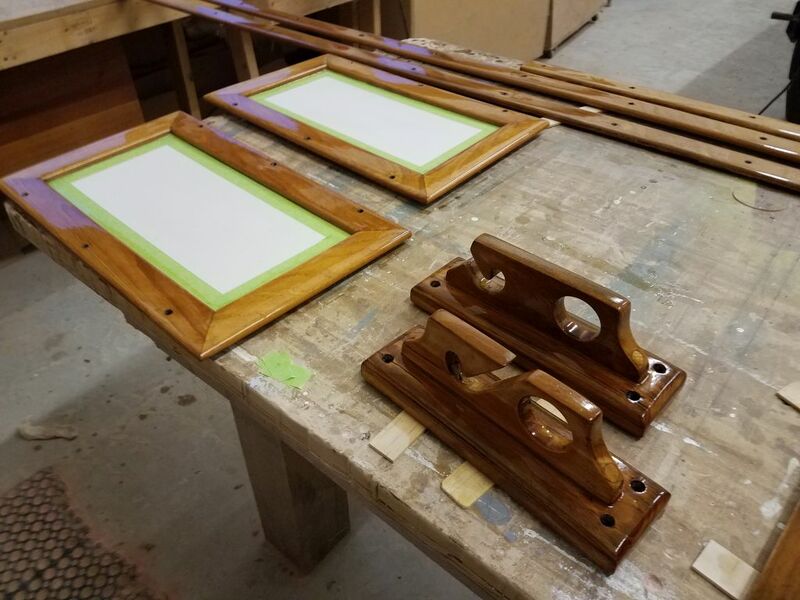 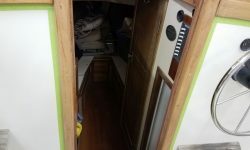 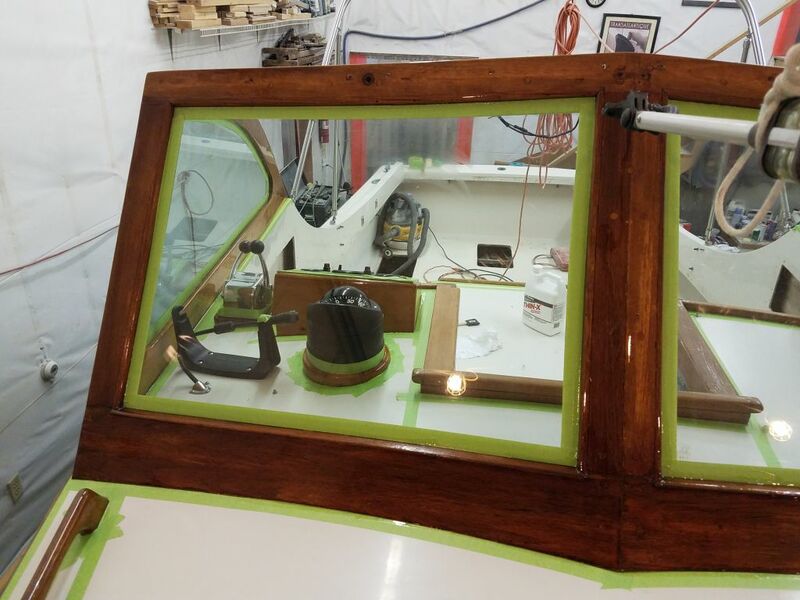 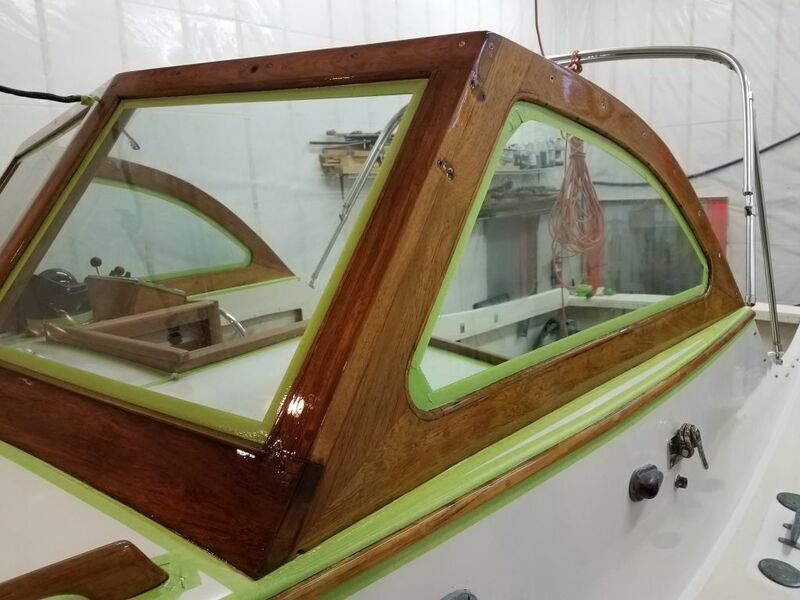 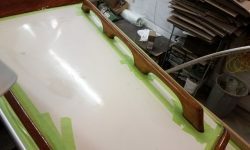 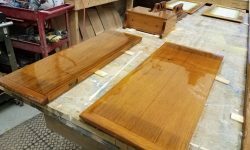 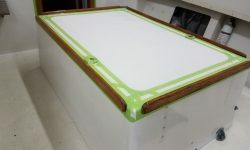 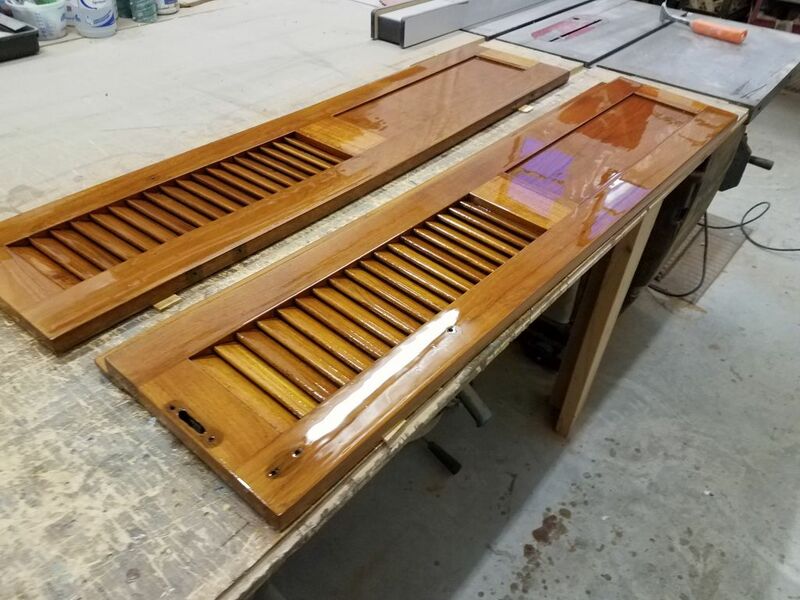 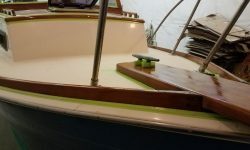 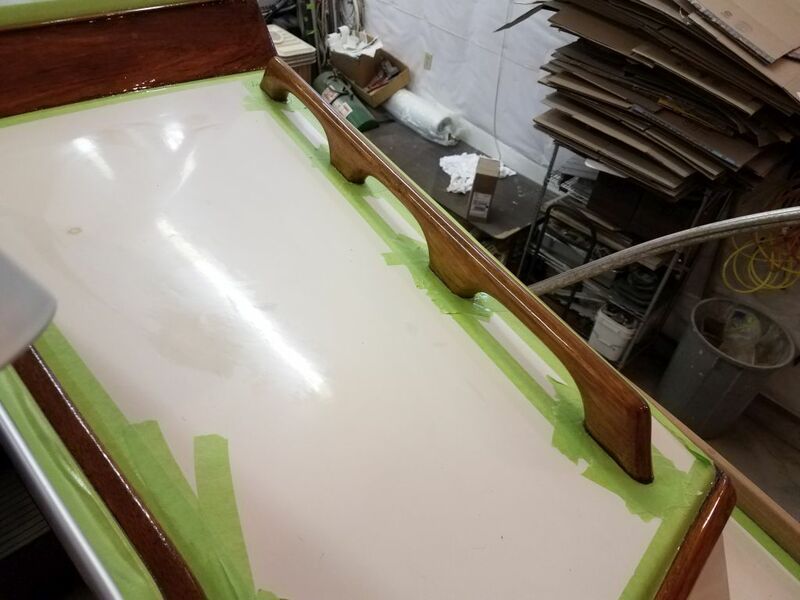 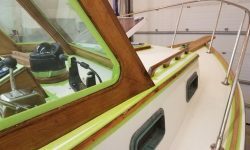 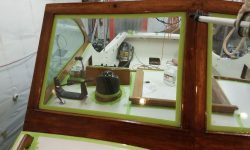 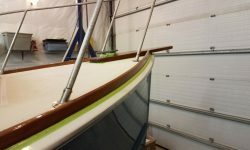 To finish up, I applied the second coat of maintenance varnish to the loose trim pieces and companionway parts down in the shop.